It is now starting to get cooler here and soon for a short time it will be COLD. There will be a need to break out the winter coats along with hats and gloves. I really don't like spending $5-$10 on a winter hat we I know I can make it for pennies. So I set out to the thrift store $1 bin to find the perfect candidate for hats for the kids. I hit the jackpot! The bin had sweaters and jeans. I grabbed up all the jeans for another jeans quilt ( for the hubby this time), a white leather jacket and black leather skirt (for another project), a wool skirt, and a few sweaters for hats. All of this for $1....SCORE!!!! The top is a little stretched out but the bottom is perfect for a hat! Cut 2 from the bottom of the sweater. Fold the piece in half and sew the cut edge. That's it. See how simple?! For Aiyanna's hat I used a sweater that had a decorative edge. I love this because I can add a hair bow or flower clip to it. Or it can just be worn as is and still be pretty and girly. Here's the pattern if you need it! Nancy--I love this!! This would solve my "need a beanie but can't crochet" problem perfectly! Thank you!! great tute- i tried to make one last year and i must say it turned out quite ugly!! i will try again with you tutorial- it seems to make a bit more since thanks! Wonderful idea! That pink one is just too cute!! This is such a clever idea! 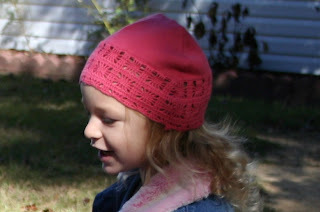 I have been wanting to crochet a hat for myself and my daughter, but that would take me forever. This would be so much quicker. Love the pink on with the flower! Thanks for sharing, found at Hoo's Got Talent?. I am a newbie in the sewing world...this looks easy! I will definetly give it a try for my boys and myself! Visiting via Strut Your Stuff. Very cute idea! Sure does save time in terms of knitting hats for kids to lose at school. Thanks for the idea! This is a great little project, can't believe you found all that great stuff for only one dollar. I have been felting sweaters lately, I think that would work great too. Thanks for sharing the pattern. I'm visiting from www.lifeisaparty.ca and I found you through the tatertots and jello link party. These are so cute! I will have to try them next. Thanks for visiting me at coffeecakescrazies! Yeah! A pattern! Thank you for sharing this fun idea! I love it. I'm going to the thrift store right now. Ha! You make it look so easy! I have never sewn on a sweater...yet. This turned out SOOO cute! I just wanted to let you know I am featuring this on my blog tonight. Hi, I love your tutorial! Do you mind if I blog about your tutorial (linking to you of course)? I post recycled wool tutorials on my blog every Tuesday, and would love to add this to the lineup! This is a great idea and I want to try it. 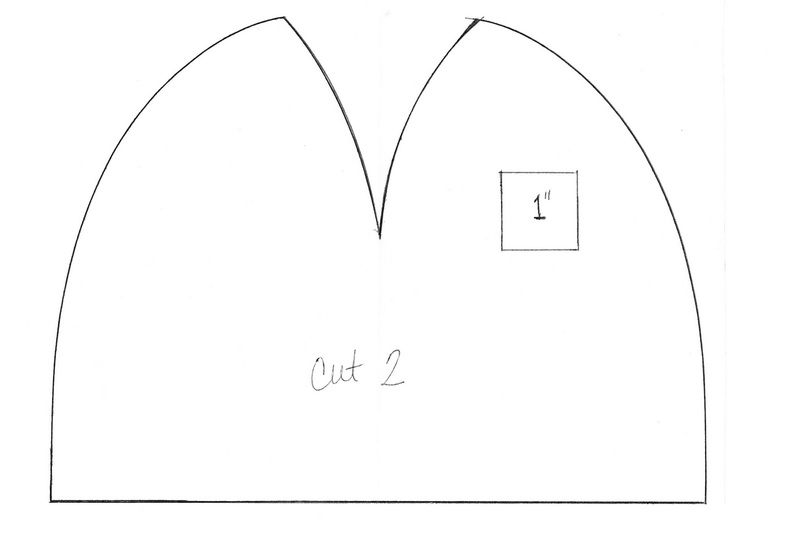 What are the dimensions of the pattern piece you provided? Your tutorial is on my blog today. Thanks so much for sharing! Your tutorial is on my blog too ! 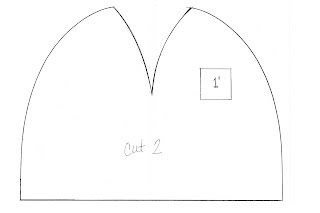 Love this pattern, but I don't understand the step that says "sew the cut edge" which edge is the cut edge? Thanks! love this idea - I think I will use the sleeves and make fingerless gloves to match - thanks! This was awesome! I followed your directions and pattern except I added a few inches on the bottom of the hat (made it for myself) and in less than an hour I had an awesome merino wool hat. I used the neck of the sweater to make a neck warmer and sewed matching buttons on the the two for a set! I saved the sleeves for the fingerless gloves! Wish I could send you a pic! Great job and thanks again for the pattern. I've linked to you from my fb page.